Unusually cold weather along the East Coast this month forced some schools to cancel class for lack of heat, raising concerns about the state of infrastructure and equity in the nation’s schools. Perhaps the most publicized and criticized, Baltimore City Public Schools, closed all schools for two days last week after 60 schools reported heating problems, and at least four were closed into this week. 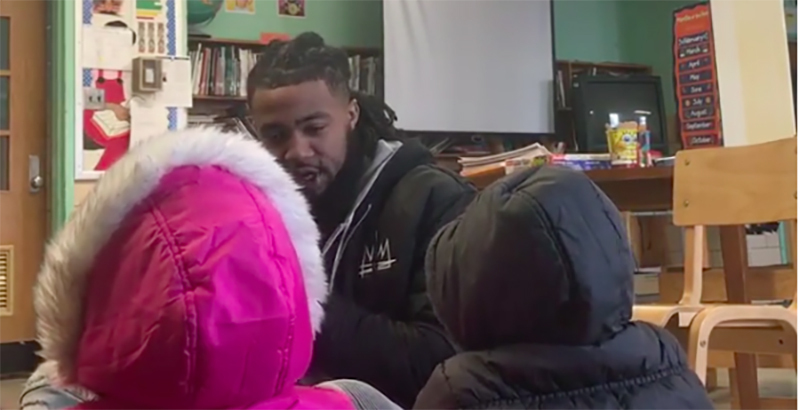 Several teachers and activists, including former NFL player turned teacher Aaron Maybin, used social media to expose the problem and to share a GoFundMe campaign raising money for space heaters and warm clothing. To all my fellow #Baltimore educators that are teaching in class rooms with no light or no heat, remember what our students are dealing with also trying to learn in these conditions. They need our best effort. But the issues weren’t limited to Baltimore. Schools up and down the East Coast — including those in Lowell, Massachusetts; Kanawa County, West Virginia; and Raleigh, North Carolina — have all dismissed students early or closed school for the full day because of heating problems so far this year as well. It may go without saying: Snow days may be joyous occasions, but learning suffers when students are not in school. More important, schools with building problems tend to serve low-income students, who are much more likely to depend on school to provide breakfast and lunch. In some cases, no school equals nothing to eat. While temperatures on the East Coast are on the rise this week, it’s not too late to examine what many researchers say is the main source of the problem: Students around the country are learning in outdated, underfunded buildings. Additionally, a report by the National Council on School Facilities released in June 2017 states that American school infrastructure is “in crisis,” with the worst problems disproportionately affecting low-income students. A National Center for Education Statistics report, relying on 2012–13 school year data, found that the average public school building was 44 years old. Other research shows that the physical school environment can have profound effects on student learning. Multiple studies show that even when controlled for race and socioeconomic status, inadequate school buildings are correlated with lower test scores. “Studies show that students in schools with classrooms with overly warm or cool temperatures and noise pollution, such as airplane noise, perform worse than students in schools with better structural conditions,” Sapna Cheryan, a University of Washington professor who has researched the issue, told CityLab. In Baltimore, meanwhile, one school was still closed Tuesday morning, marking the sixth consecutive day students were out of class because of either snow or heating problems, The Baltimore Sun reported.